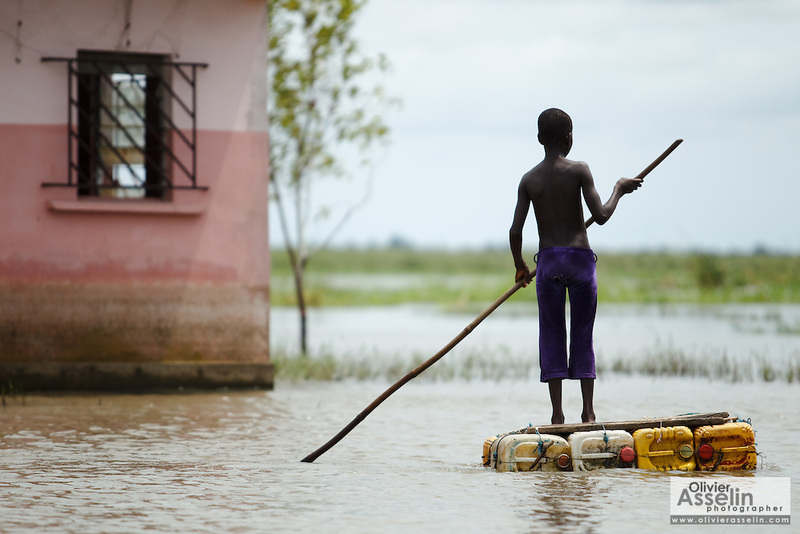 A boy uses a makeshift raft to move around in the town of Sahouicomey, Benin on Sunday October 24, 2010. The village, which is normally subject to seasonal flooding, has been severely hit by exceptional increases in water levels that have destroyed many houses and killed five people. Children will use such rafts to go to class when the school reopens in about a week.